Papillomavirus Research (PVR), the Journal of HPV and other Small DNA Tumor Viruses is the official open access journal of IPVS. It publishes innovative papers related to all aspects of papillomaviruses and other small DNA tumor viruses. In total, 86 papers have been published since its launch in 2015. In 2017, PVR received 74 manuscripts and published 37 of them. IPVS is also very proud to share that PVR is now listed in Medline and the Pubmed Central indexing system. The Citation Score (indicative of the IF to be allocated soon) is 4.07. IPVS members will be offered a waiver of the publication fee if they appear as first, last or corresponding author. The reimbursement will be activated directly through the IPVS office. Send an e-mail to:ipvsoffice@kenes.com to confirm if you are eligible for a publication fee waiver. Funds are limited and will be distributed on a first come first served basis. 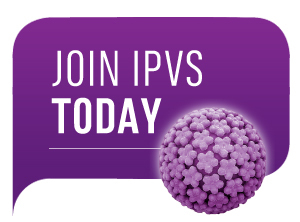 We encourage IPVS members to disseminate and use the publication offer of the PVR journal, the official journal of the IPV Society!